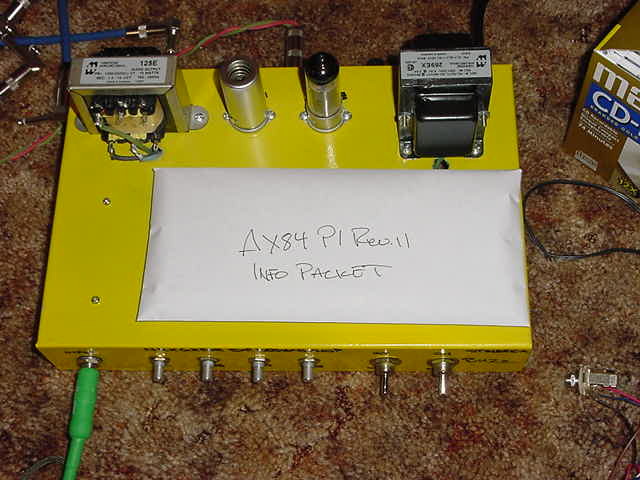 AX84 P1 - A great first tube amp project with surprisingly good tone. 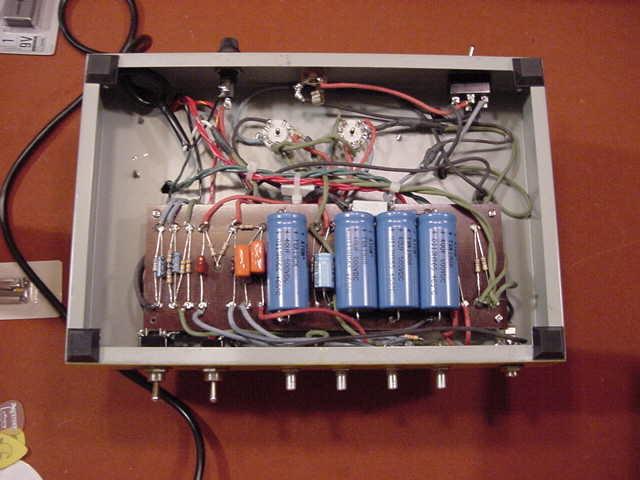 High-Octane - A simple tube power amp combined with a great hi-gain preamp. Moonlight - Cranked amp tone at less than one watt! November - Capture the tone of a classic "plexi" head, without the ear crushing volume. Renegade - Combine a Hot Channel-Switching Preamp with a Push-Pull EL34 Output Stage! Voxy Lady - Combines v*x-like amps to make a chimey rocker reported to be quite a tonal blast! Description :Chris built something similar to Winnie's Clean P1 variant for a gent with a 6l6. This was recorded by the condenser mic in a Zoom PS-02 with reverb added at that point. AX84.COM content may not be reproduced without the express written consent of Chris Hurley (chrish at ax84.com). --- Last Generated: Mon, Mar 11th, 2002 @ 08:21.